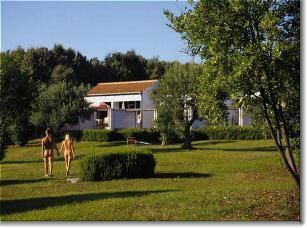 Near Vrsar, Koversada naturist camp is Europe's oldest naturist playground and one of the largest. Opened in 1961, Koversada quickly became a hit among naturists not least because of the mild climate, clear sea and pine forests. 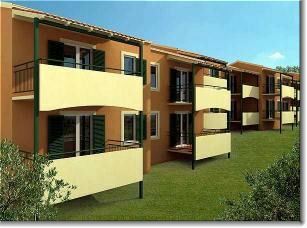 Now it can accommodate up to 8OOO guests on an area of 120 hectares. In fact, Koversada is on its own little islet, connected to the mainland by a bridge. The islet is traffic-free which adds to its tranquility. Naturally (no pun intended) there are beaches--both sandy, pebbly, and constructed. There's plenty to do between the tennis, volleyball and basketball courts plus plenty of watersports. And don't worry about picking up supplies. There are two supermarkets, a sports and camping equipment shop seven restaurants.